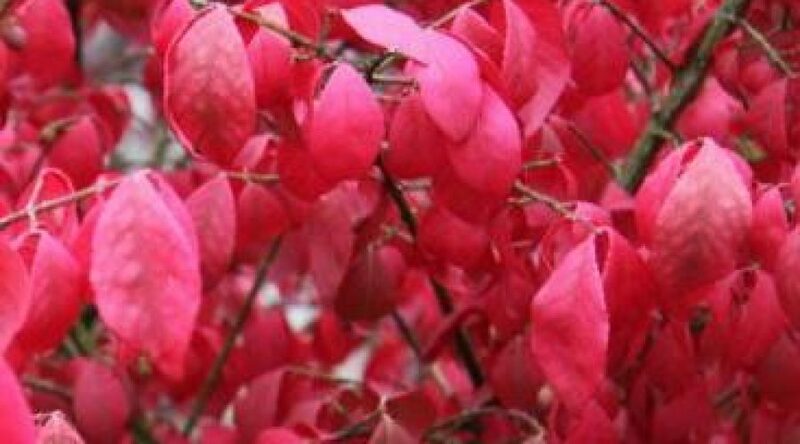 Stunning red to purple colours in the autumn.compactus is more compact and dense than other varieties. Stems have cork like winged bark. It will grow in any well-drained soil in sun or partial shade, and is especially good in alkaline soil.Its Autumn when this shrub is spectacular with its autumn colour and purple red fruits which split open to form four winged lobes with a bright orange seed at the center.Full sun to partial shade in well drained moist soil Hgt 1m spread 2.5 metres.From China and Japan known as spindle tree.